What causes Kearny home prices to fluctuate? Real estate prices are forever in flux. House values appreciate in the long term usually. But, of course, there is always a certain amount of risk in real estate. When your property appreciates you have more resources to borrow against, and you'll create a better profit when you sell. Property values in Kearny fluctuate for many different reasons, so how can you be sure what you're buying now won't depreciate the day after you close? 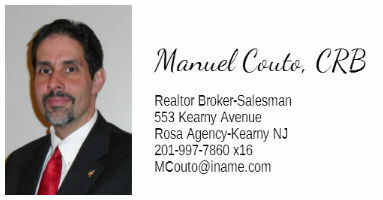 Choosing a REALTOR® in Kearny who is familiar with the factors that drive local prices is the most important part. The economy is believed to be the greatest factor impacting real estate appreciation. 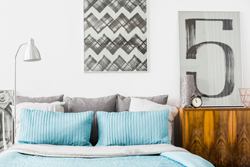 It goes without saying that interest rates, employment, business growth, government programs and a handful of other national determinants have a noticeable impact on your house's worth. But the most significant factors that figure your property's value are particular to the local Kearny economy and housing market. Location in a community - Most people want homes in the regions with the most convenient amenities, such as our schools, jobs, and shopping. So those regions often appreciate, or carry their value consistently, year to year. The latest home sales - You should receive data on the recent real estate sales in the neighborhoods that you're interested in from your real estate agent. You'll want to analyze data like time on market and listing price as opposed to selling price. History of appreciation - In the last 5 to 10 years, have property prices risen or declined? Does location or affordability affect how desirable the neighborhood is thought of as? Economic factors - Have businesses moved into or away from an area? Are local companies hiring? Is there a good combination of business in an area, or does it count on just one industry? These items play a part. It's vital to know the factors that play into your home's market price. Get an estimation of your property's value here. Please call me at (201) 997-7860 x116 or e-mail me with any questions.